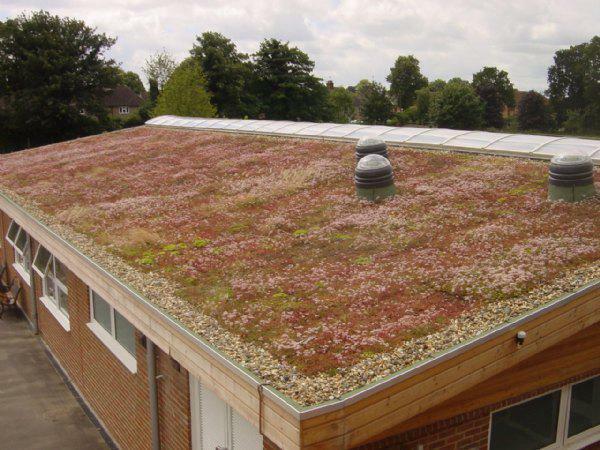 The Sedum or 'living roof' on our new classroom block is in fact a living carpet of low growing succulent plants. These plants have thick, fleshy leaves and stems which make them particularly suitable for growing in the inhospitable conditions found on a roof. They can withstand periods of low rainfall, strong drying winds and sun. The living roof insulates the building below from cold in the Winter and heat during the Summer. Carbon dioxide and pollutants in the air are also absorbed by these clever plants so our environment benefits too.